Clear Choice Energy Solutions can help make your new home more comfortable by installing the proper type of insulation for your space. With our many different types of insulation available you are guaranteed a warmer more comfortable home. Proper insulation is a key element for a more comfortable and energy efficient home. It is important to have a continuous boundary of insulation between the conditioned, indoor spaces and the unconditioned, outdoor spaces. Building codes typically require a minimum insulation level for each component of the building envelope. In most climates, it is easy and cost effective to increase these insulation levels beyond the minimum code requirements. Improved comfort – increased insulation reduces heat losses and gains resulting in warmer interior surfaces in the winter and cooler interior surfaces in the summer. Improved indoor air quality– When insulation levels are increased and materials properly installed, there are fewer gaps and voids through which unconditioned air can leak into a house. This helps avoid dirt, dust, and other impurities that can negatively affect indoor air quality. A tight building envelope is a critical component to ensure good indoor air quality. Lower utility bills – More than 40 percent of the energy consumed in a typical household goes to heating and cooling. Increased insulation reduces this energy consumption which lower energy consumption results in lower utility bills. 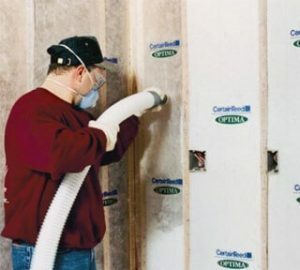 Improved resale position – Increased insulation levels can provide the many impressive benefits listed above resulting in a more comfortable, higher quality home with better indoor air quality and lower utility bills. These benefits can translate into higher resale value. 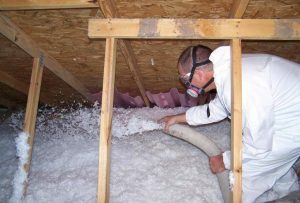 For more information about insulation benefits, visit www.energystar.gov or contact Clear Choice Energy Solutions for a FREE Energy Consultation on how we can help make your new home the best it can be.